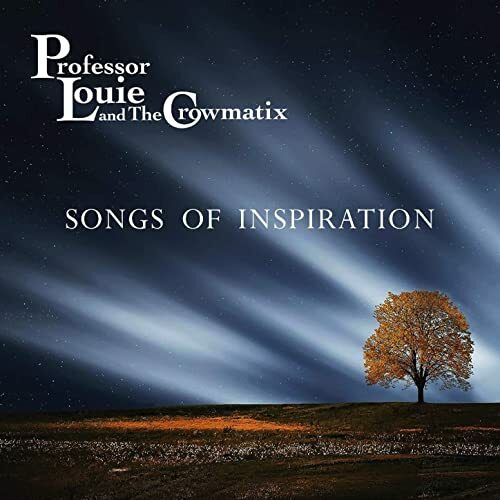 Professor Louie traveled, performed & recorded with The Mighty Gospel Giants Of Brooklyn and on this CD with his dynamic group The Crowmatix recorded some of his favorite Gospel tunes plus songs that influenced his career. Wonderful inspirational songs including their international award winning compostions Melody Of Peace and Open Hand Open Heart. Professor Louie (Keys-Accordion,Vocals) collaborated with The Rock n Roll Hall Of Fame group The Band for over 16 years. John Platania (Guitar-Vocals) known for his great performances with Van Morrison for over thirty years and collaborated with Van creating some top hits such as Domino. Gary Burke (Drums) performed with Bob Dylan’s The Rolling Thunder Review recorded and toured extensively with Joe Jackson. Miss Marie (Vocals-Percussionist-Keys) preformed, recorded with Levon Helm, Rick Danko, Garth Hudson an integral part of Mercury Rev’s Gold Album Deserters Song. Frank Campbell (Bass-Vocals) Levon Helm’s music director with the Woodstock All-stars touring the USA, performed & recorded with Steve Forbert on tour.